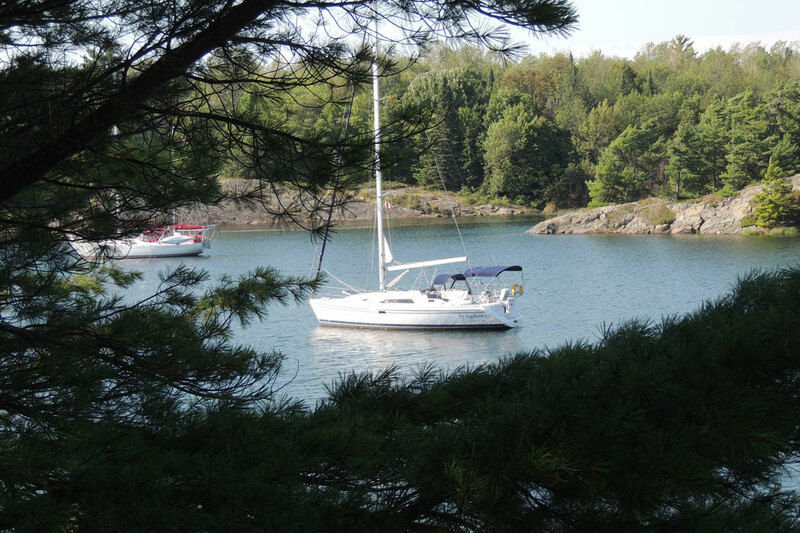 We love hearing from our dealers and customers and how they are enjoying ‘Sailing as a Lifestyle‘. Sail Place recently caught up with Becky & Del Patterson as they were finishing up cruising The North Channel. 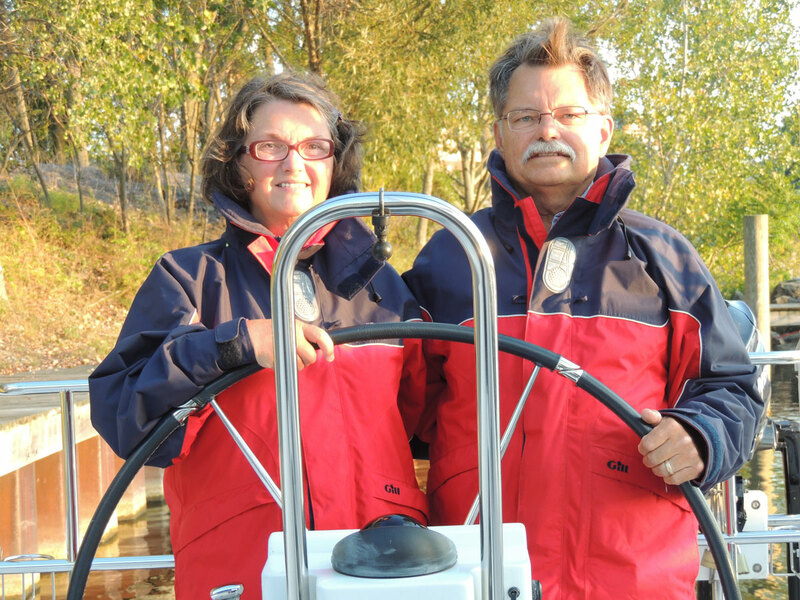 They first met Sail Place years ago when they purchased a used Catalina 25 from their Cedar Springs location, and they’d always see them in Chicago at the Strictly Sail Show…which is where they first saw the Catalina 355 that they now own. 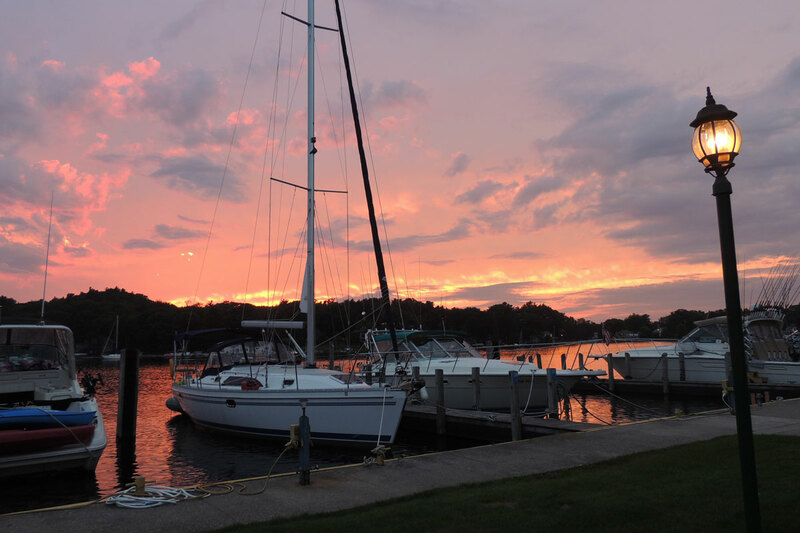 They live in Eau Claire, Michigan and keep their 355, “Symphony”, at West Basin Marina in St. Joseph. What was it initially that you liked about the 355? Just the right size for the two of us plus room for occasional guests and grandchildren, refrigeration, real mattresses, and it’s a Catalina. South West Michigan, all of lake Michigan, Northern Lake Huron (North Channel). We understand you are currently sailing the North Channel…is this your first trip? How long have you been cruising? This is our 4th consecutive year in the North Channel (the last three years in the 355). We took our first real cruise in 2006. Have you done any other long cruising? Or do you have other long terms cruising plans? We have been all over Lake Michigan and the North Channel. 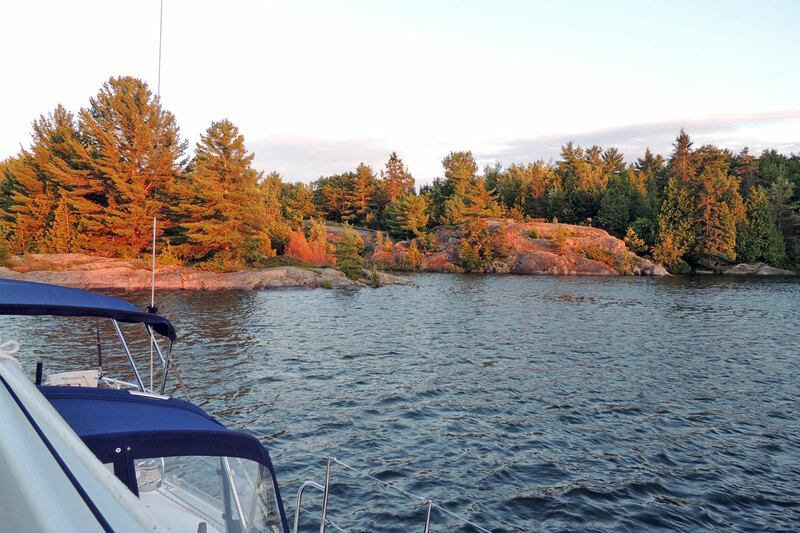 We intend to continue cruising the Great Lakes as long as we are physically able to do so. Can you expand a bit on your sailing experience? How long have you sailed? When / where did you learn? My earliest memories include sailing Lake Michigan out of Pentwater, Michigan on a boat belonging to a friend of my father. As teenagers, my brother bought a Sailfish, and we taught ourselves to sail it. Much later, Becky and I took a “learn to sail” course offered by the Highlander Association in Cleveland, Ohio. Then, years later, we took a Power Squadron safe boating course in St. Joseph, Michigan, and a bareboat charter course at MCSC in Michigan City, Indiana. We continue to read anything we can get our hands on about sailing and cruising. What other sailboats (if any) have you owned? 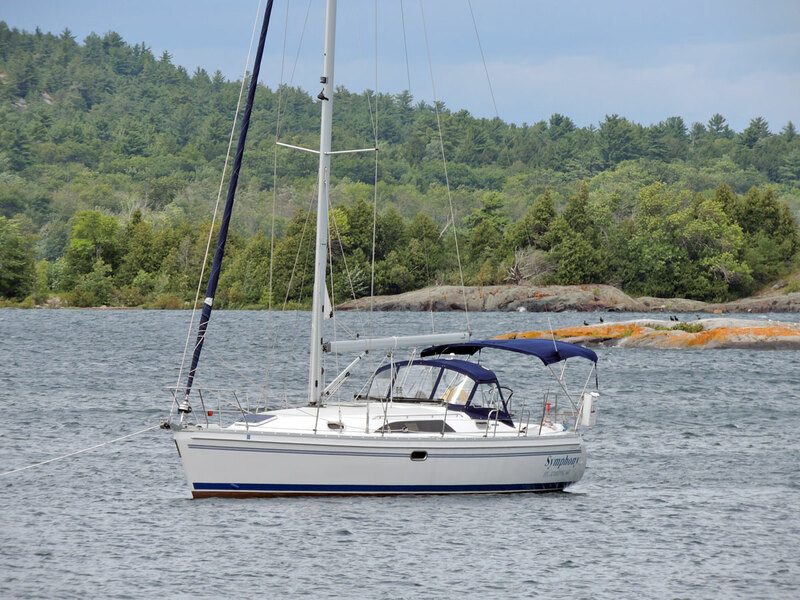 Becky and I started with a very used 1958 Highlander, then moved up to a 1984 Catalina 25, followed by a 1988 Hunter 33.5, which we replaced in 2014 with the brand new Catalina 355. 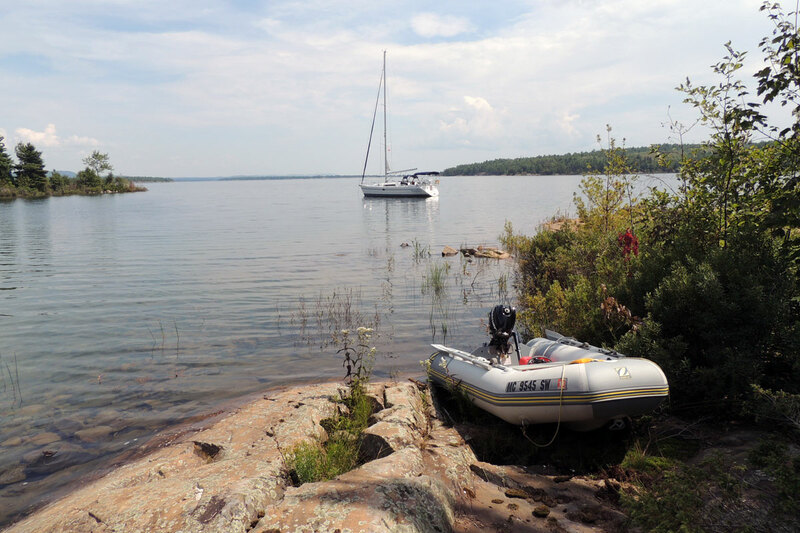 When did you first start considering buying a new boat? It has always been something I wanted to do “someday”. But we got serious about if after our first year in the North Channel with the Hunter. Those camper mats on the V-berth got pretty hard after a while, and every third day we had to go and find more ice for the ice box. What do you enjoy most about the 355? 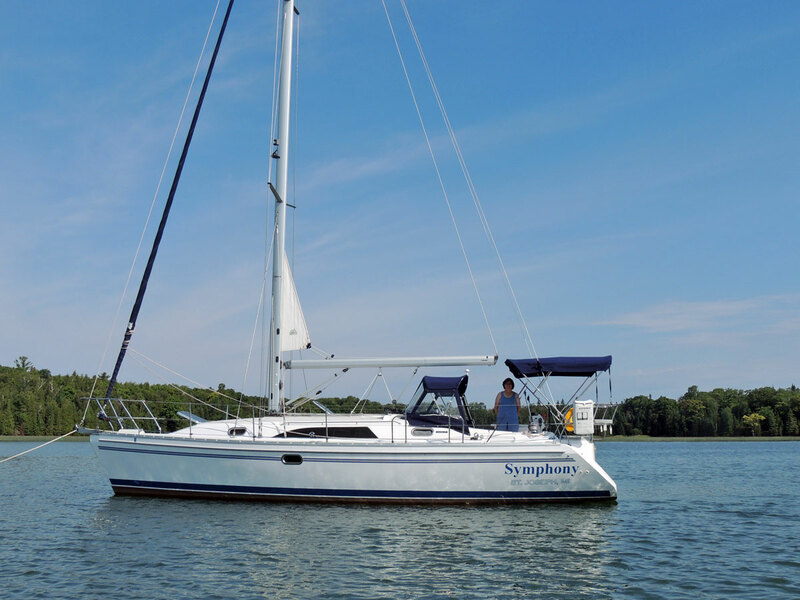 Refrigeration, Real mattresses, it’s easy to manage the rig and she sails well, she can be handled by a retired couple but still has room for the grand kids. Ultimately, what made you decide the 355 was the boat for you? It was just the right size with the right features from a manufacturer that I trust. Can you expand on your experience working with SailPlace? We bought our used C-25 at their Cedar Springs location years ago. Then we encountered them again in Chicago at the Sail America boat show. We weren’t ready to buy at that time, but they were still willing to talk and help us dream a little. This continued on for about ten years of boat shows. They were always welcoming, always helpful, never pushy, never hard-sell. When we were ready and finally had the means, they helped us get the boat of our dreams. Lastly, anything else you think would be interesting and fun for us to share? When I was a teen, I used to ride a trail bike in the Manistee National Forrest. One of my riding buddies was a kid named Dave. He was the caboose of his family with older siblings whom I had never met. Then one day Dave’s father introduced me to his oldest daughter. “She’s married to Frank Butler, founder of Catalina Yachts”, he said proudly. That’s the first time I ever heard of Frank Butler and Catalina Yachts. Several years later an advert in the Grand Rapids Press caught me eye. It said something like: “Sail Place, Catalina’s oldest dealer.” So that’s how I learned about Catalina and Sail Place. It all began with a Honda trail bike about 50 years ago.